Following the blockchain and Bitcoin action on 23 January, here’s our latest round-up. Starring Coinsilium Group, GMEX Technologies and Vaultbank. Coinsilium Group, a “blockchain venture builder” and investor, is launching a private fund to hold its digital assets and tokens in relation to its advisory services and investment activities. The new fund, which will be 100% owned by Coinsilium, will be established in Gibraltar which has recently launched its distributed ledger technology (DLT) regulatory framework. Coinsilium says it has advised eight companies on their token generation events in 2017, four of which have been completed in 2017 with the remainder due to complete by Q2 2018. London-based GMEX Technologies, a provider of exchange and post-trade technology (and part of GMEX Group), has unveiled GMEX Fusion, an integrated centralised and distributed solution set. As the latter’s name suggest, this combines GMEX’s centralised technology – currently live in places such as Hanoi Stock Exchange and Vietnam Securities Depository – with blockchain technology. The idea is to offer hybrid trading and post trade solutions for exchanges, clearing houses, central securities depositories and electronic warehouse receipts operators. It will also “address the demands from the crypto exchanges and emerging market countries” – and traditional exchanges that are “looking to bring infrastructure and processes up-to-date and to introduce distributed ledger functionality”. 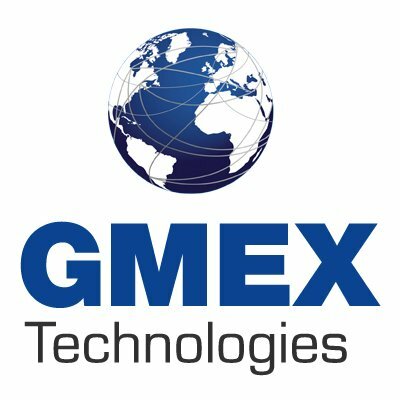 GMEX adds, prior to the launch of Fusion, it has already been involved in the crypto space as its GMEX matching engine and market surveillance solution is implemented at Seed in the US, which operates a swap execution facility registered with the Commodity Futures Trading Commission (CFTC). Investment firm Vaultbank will launch its Vaultbank debit VB Mastercard, which supports cryptocurrency transactions. It is compatible with point-of-sale terminals, offering card holders the ability to spend various cryptocurrencies and “may eventually be able to spend Vaultbank (VB) tokens”. It will be available to US and EU customers upon the conclusion of its token sale, which ends 17 February or until $20 million is raised, at which time the public sale will begin. Austin Trombley, president and CTO of Vaultbank, says with the debit card it makes it possible to “conduct everyday transactions around the world using cryptocurrency”. All Vaultbank debit card cryptocurrency-to-fiat transactions will be completed through the Vaultbank Exchange, allowing Mastercard and other future processors to not “see” the cryptocurrency being used. Vaultbank, is part of a group of companies incorporated in Singapore as “Vaultbanc Plc” and headquartered in San Francisco.